Cairnpapple Hill, near Torphicen in West Lothian, Scotland. A Neolithic ceremonial henge monument. 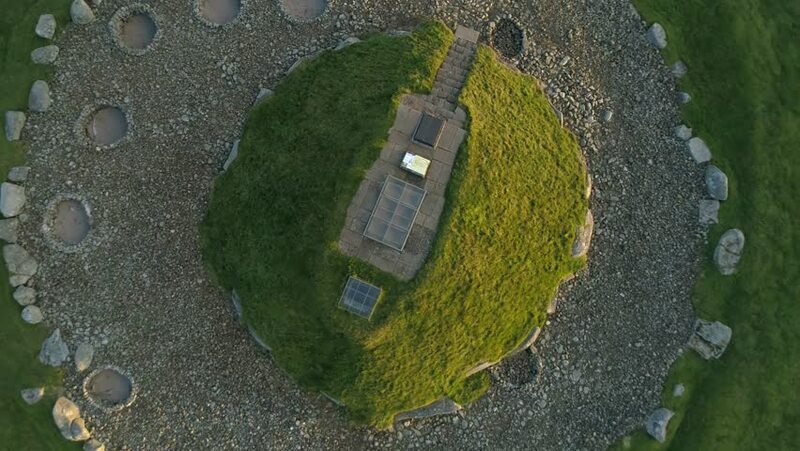 Aerial footage flying up from the mound, brightly lit by a low sun on one side. hd00:51This aerial footage looks down at a campsite and farm house in Talybont, North Wales and journeys forward over a green field on a sunny day. 4k00:10A small building below a dam releasing water through two large tunnels.